Everyone can use an extra step up to reach a light, high shelf or dust a cobweb from the corner. 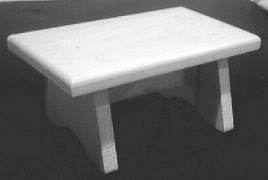 Use free step stool plans to build a wood stool that is functional and easy to build, using simple woodworking skills and tools. Build personalized stools for the kids and paint their names with bright enamel. 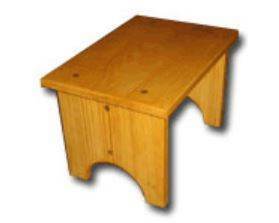 Construct a stool with hinged steps for additional storage or a simple Shaker style stool that blends with any decor. 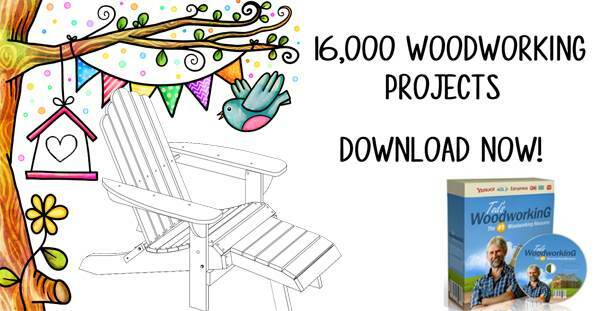 Use hardwoods or clear pine to build these simple projects and finish with polyurethane or paint. 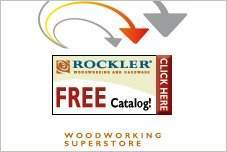 Free step stool plans are available in a variety of styles. Rustic, Early American or contemporary, these stools will be appreciated and used for years. They make great housewarming presents or shower gifts. 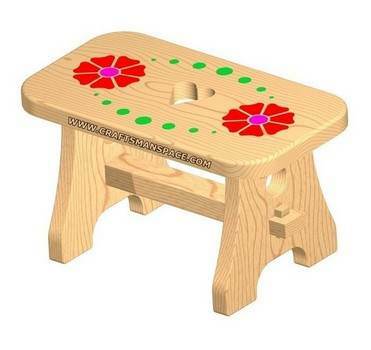 Build a special stool for a grandchild that will become a cherished heirloom. 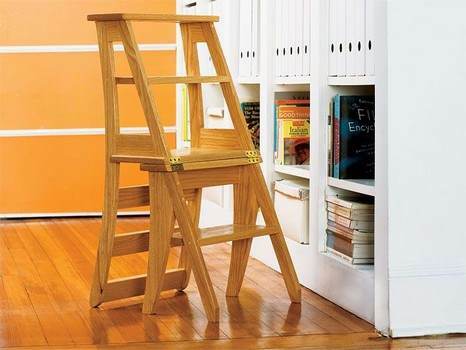 This is an easy to follow project for a handy step stool that easily becomes a chair when needed. Plans with cutting list and photos to make a small step stool. Build a step stool with these plans. Includes photos and diagrams. Kids and adults alike sometimes need the lift of a handy step stool. 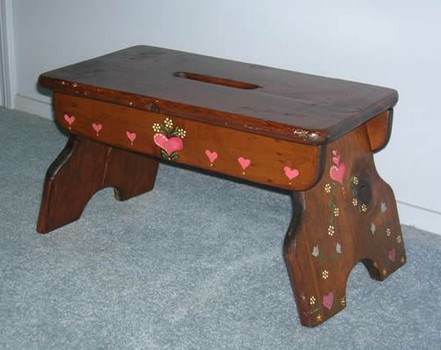 Here is a plan for wooden step stool for the home. 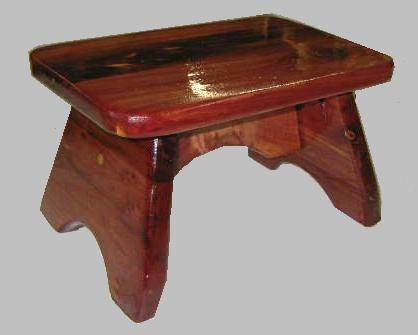 Build this strong and sturdy cedar step stool that can also be used as a stool for kids to sit on. Build a step stool using wood scraps you find laying around the shop, and it only takes a few minutes from start to finish. Here are diagrams that will help you create a basic wooden step stool. A 3 level stepping stool with clean lines. This step stool can actually be made using only hand tools. 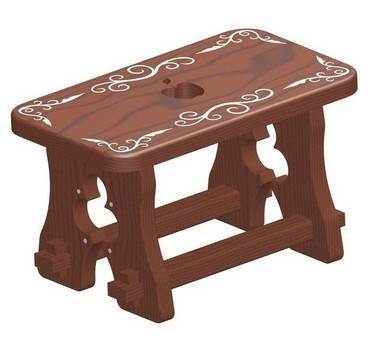 This milking stool has a wide top and works perfect as a stepping stool or when milking a cow. 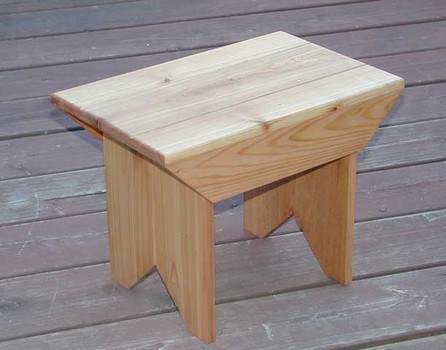 Build a basic foot stool using pine with this easy step by step plan. 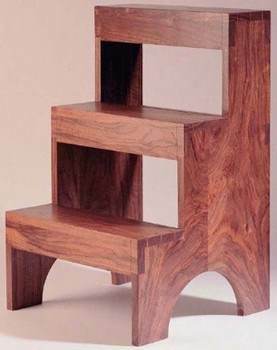 Here is a project for an attractive dovetailed step stool that has a tall back which makes it easy to carry. This step stool has a cutout of an apple in the center and will be used over and over again by the whole family.